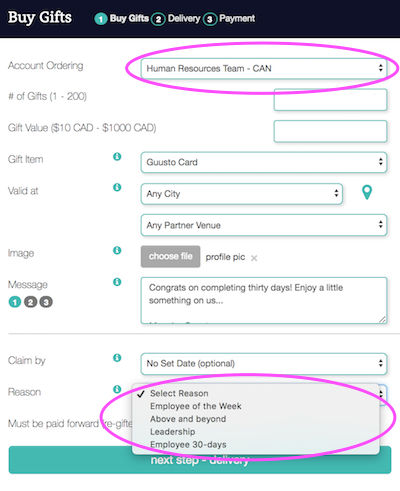 You can now add new reasons or delete existing reasons, and select whether your Team Members require to add a reason when sending a gift. On the Buy Gifts page, your Team Members are prompted to select the account they'd like to use to purchase gifts. This will automatically display the designated List of Gift Reasons for the corresponding Team.